Citrus County is the youngest county established within the Fifth Judicial Circuit. Citrus County is Florida’s 44th county, established on June 2, 1887, from a segment of Hernando County. Citrus County gains its name as a tribute to the first settlers founding wild orange trees in great abundance and having the main agricultural product in Florida. 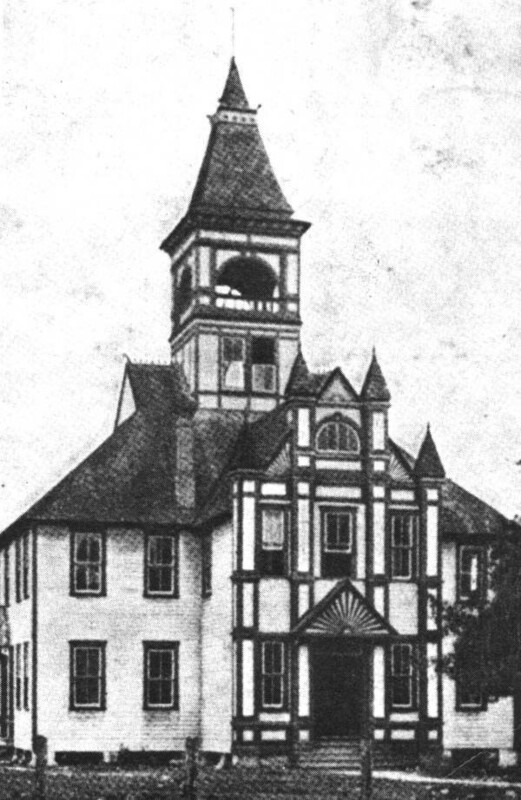 The city of Mannsfield was originally the county-seat due to its geographically center location and established Citrus County’s first courthouse near county road 491 and Cardinal Lane. 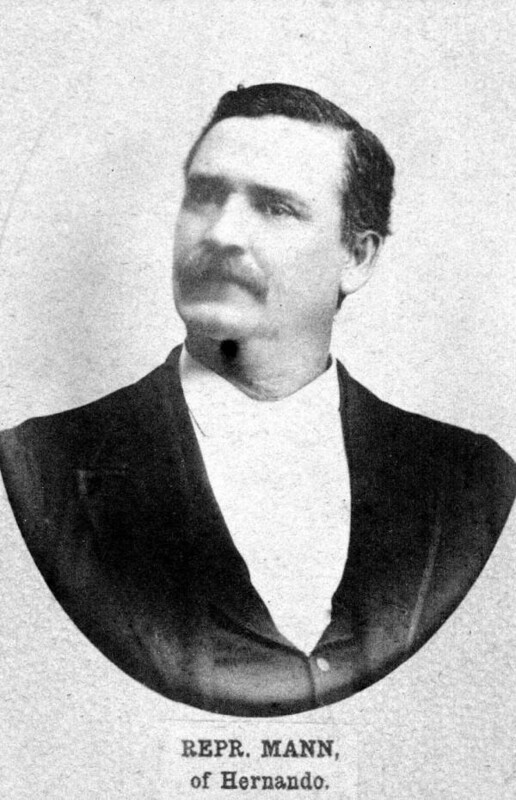 Citrus County’s Judge of Probate was James W. Fleming who resided in Floral City. The city of Mannsfield was from Austin Mann (Florida Memory image: Portrait of Austin S. Mann, Image Number PR04197) helped guide the bill which created Citrus as a county. Mann had one of the larger orange groves at the time along the Crystal River. Mann was also Father-in-law of William Sherman Jennings, the governor of Florida who was elected from Brooksville. Then, later the City of Inverness (which was once called Tompkinsville) was named the county-seat in April 9, 1891. A majority vote in 1891, finally approved the move to Inverness but the opposition had no intention of giving up … not until a midnight raid in which the courthouse and everything that had to do with County government – records, court furniture and fixtures – was “stolen” and moved to Inverness by horses and wagons – including Captain (W.C.) Zimmerman, the County Clerk, who refused to move from his office and was picked up with his chair and desk and transported in a wagon to the new County Seat. The city of Inverness, is named after the ancient capital of the Scottish Highlands. After a political tug-of-war and several elections, Inverness was chosen as the permanent county seat in 1891. In June, 1911 the Board of County Commissioners adopted a resolution to erect a new building to replace the Victorian style wood courthouse on the square. The 1912 Courthouse (see picture below), designed by architect Willis R. Biggers, includes a copper cupola topped with a belvedere and constructed at a cost of $55,885. Its eclectic design incorporates features from four distinct architectural styles, Italian Renaissance, Neoclassical, Mission, and Prairie School. The building is uniquely situated on a square lot at 45 degree angles. It is historically significant because of its association with county government for over eighty years. 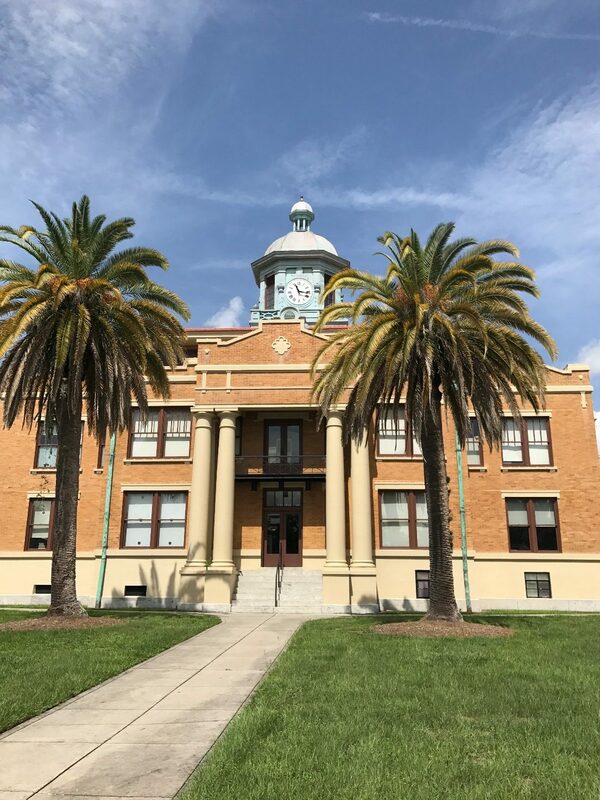 A restoration returning the building to its original appearance was funded with grants from the Division of Historical Resources, matching funds from the county, and fund-raising efforts by the Citrus County Historical Society. The building was placed on the National Register of Historic Places in 1992.